Tis the season (not that season) – sports season! And it’s sure to bring in extra traffic to your bar when local sports fans need a place to watch their favourite games. Before the next kickoff, get ready for the games so you can give your customers the best possible experience. That doesn’t just mean stocking up on extra wedges and beer – you should also look into equally important things, like getting a Foxtel installation and the best antenna for your digital reception! When Is Australia’s Sports Season? Watching sports can be habit-forming. Once you get them in the door for the first game, your customers will likely want to come back again and again. A recent survey showed that 99% of fans planned to return to a pub they’d watched live sports at, which is huge! And when seasons stretch for months at a time (and repeat yearly), you’ll have consistent revenue from loyal customers for a long time. Most of your customers will probably have access to watch the same content from the comfort of their living room via their Foxtel installation. The real reason they come to your pub (apart from the great food and bevvies) is to experience the game with their friends (and on a bigger screen). This is great news for you because more people coming to your pub means more drinks ordered and more revenue. People who watch sport at your pub stay for an average of 1 hour and 20 minutes longer than other visitors. In that extra time, how many more beverages might they order? Would they be more likely to get an extra plate of food or a larger meal? Customers who hang around for long enough to watch a full game are more likely to order multiple drinks, entrees, and meals. And when their favourite team wins, there’s a good chance they’ll be ready to spend even more to celebrate! Some of your customers will come for a meal and a drink – they won’t be specifically out to watch sports. But when they sit down and the TV is on, they’ll probably be happy to watch it, anyway. It’s a great way to add value to your customers by entertaining them while they wait for their food or enjoy a meal. Plus, if they’re stuck for conversation while they’re out with family, friends, or colleagues, the sport can make a great talking point (or a welcome distraction). Marketing your business can be tough – but especially when you don’t have anything new to share or talk about. Instead of promoting a special offer (where you may lose on the profit margin), why not use the upcoming game in your marketing and promotions? Make a few signs, create a Facebook event, and share some images on social media leading up to it. Throw in some themed decorations and you’ve got yourself a party that everyone will want to be at! Getting your brand out there will remind all your patrons (not just the sports fans) that you’re open for business so your promo has the potential to increase foot traffic from all your markets. You might allow your patrons to participate in sports betting for a more interactive and engaging experience. This comes with two major advantages: more revenue for you and customers who are motivated to stay until the end of the game. We’ve all eaten at dull and lifeless venues – that’s not the kind of pub you or your customers want. One study showed that 7/10 people said that atmosphere was the #1 factor in choosing what pub to go to (over the size of your TV screen, value for money, and drinks options). Playing sports on your TV will lift the atmosphere of your pub, with live action and cheering, and it will make your venue look and feel more lively. Your pub isn’t just a place to grab a drink, it’s a hub for your local community. When you put on a game, you create an opportunity for total strangers to come together and meet fellow fans (and friendly rivals). Suddenly, a pub visit becomes an opportunity to make friends who won’t roll their eyes at your sports obsession. 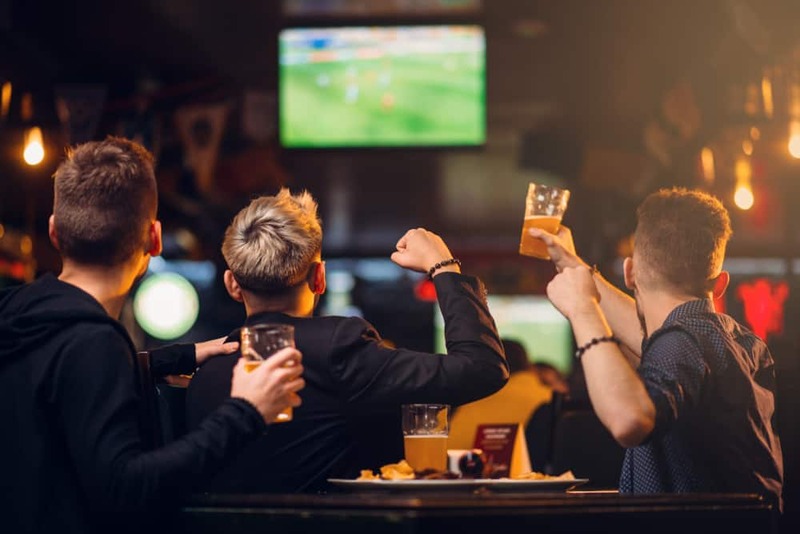 By tuning into the most popular live sports for your local patrons, you get a competitive advantage over the tavern down the road who doesn’t do sport (or only plays the boring ones). And if you have the best antenna and digital TV reception – on bigger, better screens… why would customers go anywhere else? So if you want the best antenna for digital TV reception… your safest bet is to contact a local digital antenna technician to do an install, upgrade, or service. You can learn more about the best antennas and digital TV reception here or read our previous articles on what is a digital antenna and what is digital TV. Do You Have the Best Antenna for Digital TV Reception? Is it time you booked a digital/antenna technician to come in and check your setup? Before the next season kicks off, call us on 1300 800 123 to book in. We’ll make sure you’ve got the best antenna for digital TV reception and while we’re there, we’ll check your Foxtel installation, too. That way, you’ll be gameday-ready and 100% confident every sports fan who visits your pub will get the best viewing experience, stay for longer, and come back again and again.